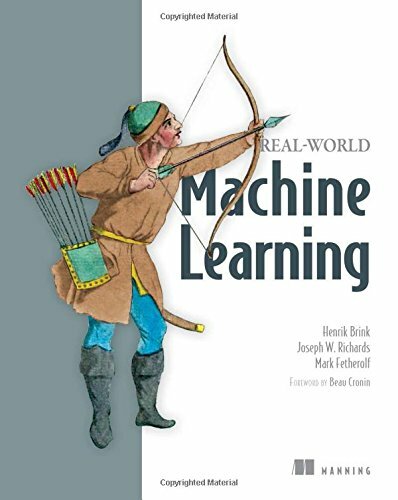 Real-World Machine Learning is a practical guide designed to teach working developers the art of ML project execution. Without overdosing you on academic theory and complex mathematics, it introduces the day-to-day practice of machine learning, preparing you to successfully build and deploy powerful ML systems. Machine learning systems help you find valuable insights and patterns in data, which you'd never recognize with traditional methods. In the real world, ML techniques give you a way to identify trends, forecast behavior, and make fact-based recommendations. It's a hot and growing field, and up-to-speed ML developers are in demand. No prior machine learning experience assumed. Readers should know Python. Henrik Brink, Joseph Richards and Mark Fetherolf are experienced data scientists engaged in the daily practice of machine learning.